Eels are considered as part of eco-development, despite not being seen in this stretch of the River Thames for 38 years! An eel pass forms part of the Archimedes screw which is being installed at Osney Mill. The screw will harness the energy of the River Thames to generate hydro-electricity for the development, with any surplus being returned to the grid. Fish are being accommodated in a different type of pass on a screw that will be supplied by the Environment Agency. Finders Keepers was approached in 2008 to project rent levels on eight apartments, including some penthouses and two large houses which will be available in early spring 2012. 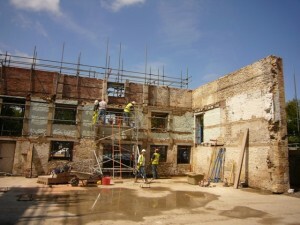 We will continue to post updates on this wonderful historical site which in part dates back to the 12th Century, when Osney Abbey stood in the grounds.